Playnow.com, which is an online casino site that is operated by the government of British Columbia in Canada, recently launched an "interactive casino experience" called Live Casino. This is notable as it marks the first time that a legal online casino site in Canada has offered "live casino" action. In order to maintain the integrity of their games, Playnow.com has partnered with Evolution Gaming to develop a "Canadian Live Casino" facility that is located in New Westminster, British Columbia. By keeping the project "in house", the BC government is able to ensure that local residents are given jobs, which would not happen if they had simply gone the route of using an existing offering from a European-based casino and signing a white label deal. 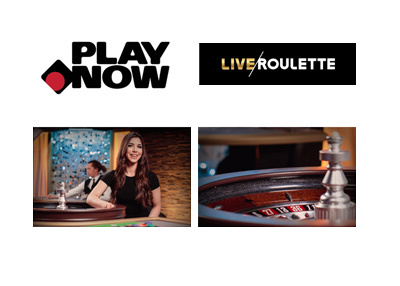 As part of the initial rollout, Playnow.com will feature "live casino" games such as Blackjack, Baccarat and Baccarat Squeeze, as well as two different types of roulette. These offerings will be available on desktop and mobile devices for 16 hours per day, at least at the beginning of the rollout. In order to remain competitive in a world that contains offshore and European casinos, sites like Playnow.com must offer features that their customers demand, such as live casinos and in-play betting. Live casinos allow customers to mimic the online casino experience without needing to leave their homes. Through the magic of technology, customers can view on their screens as a real dealer (not a computer) deals their cards in a game of blackjack or spins the roulette wheel. Everything is tracked via microchips, so as soon as the hand or spin is completed, the amounts are deducted/added to your account and the game will continue. Dealers are encouraged to banter with players, which means that you will be able to chat with a real dealer that is working in a New Westminster studio in British Columbia. As mentioned, this is the first live casino that is available to any of the residents of Canada. Playnow.com is only available to residents of the province of British Columbia.